You have a lot to keep track of every day. Sales, schedules, cash flow, inventory — your list is probably a mile long. Add to that list all the laws and regulations that govern your business, which often change. One of the most talked-about nationwide is the minimum wage. To help small business owners in the North Star state stay up to date on minimum wage rules in their state, we’ve put together this quick guide. The minimum wage in Minnesota is currently $7.87 per hour, 62 cents higher than the federal rate of $7.25. This rate applies to small employers, those with annual gross revenues of less than $500,000 a year. For those businesses that gross more than $500,000 a year — called large employers — the minimum wage is $9.65. The youth wage (for employees under 18) is $7.87 per hour. The 90-day training wage (for employees under 20) is $7.87 per hour. It’s important to note that tipped employees are not exempt from the minimum wage, which is unlike the practice in many other states. Instead, state law dictates that employees must be paid at least the minimum wage per hour, plus any tips they might earn. Are there plans to change the minimum wage in 2019 and after? A state law requires Minnesota’s minimum wage to be based on economic conditions with potential increases made on January 1 of each year. 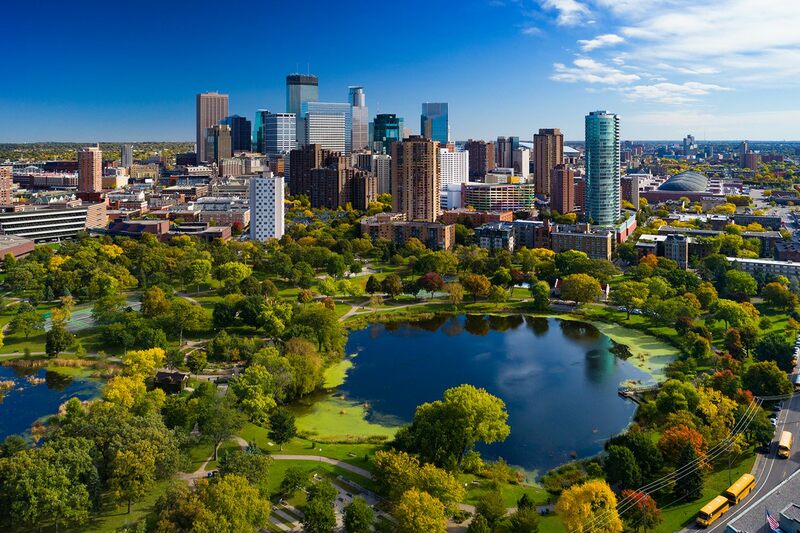 In August 2018, officials announced that on January 1, 2019, the minimum wage in Minnesota will increase to $8.04 an hour for small employers and $9.86 an hour for large employers. In Minneapolis, the largest city in the state, the city council voted to raise the minimum wage to $15 an hour in 2017. Large employers must comply by July 1, 2022, while small businesses have until July 1, 2024. 1Increases will account for inflation every January 1. Hire the best: Hiring the right people is always important, but doubly so when you operate a small business. So take your time and cast a wide net when recruiting new employees. And once you have your team in place, make employee retention a priority by offering them a path to growth and development and by making your business an attractive place to work.